A postgraduate Bangor student who graduated with a Distinction from the university last week has had his film accepted at a prestigious film festival. 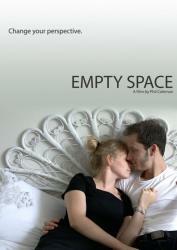 The science fiction film Empty Space was completed as part of Phil Coleman’s Masters Degree at the School of Creative Studies and Media. The Cannes Short Film Festival, which is in its second year, aims to showcase the best of international short filmmaking in the world's most famous film festival city. “It's crazy to think that a film I made for my Masters is going to be screened in the most famous film festival city,” Phil Coleman said. The film follows two lovers who leave in an escape pod during an intergalactic war, and the trailer can be watched here.